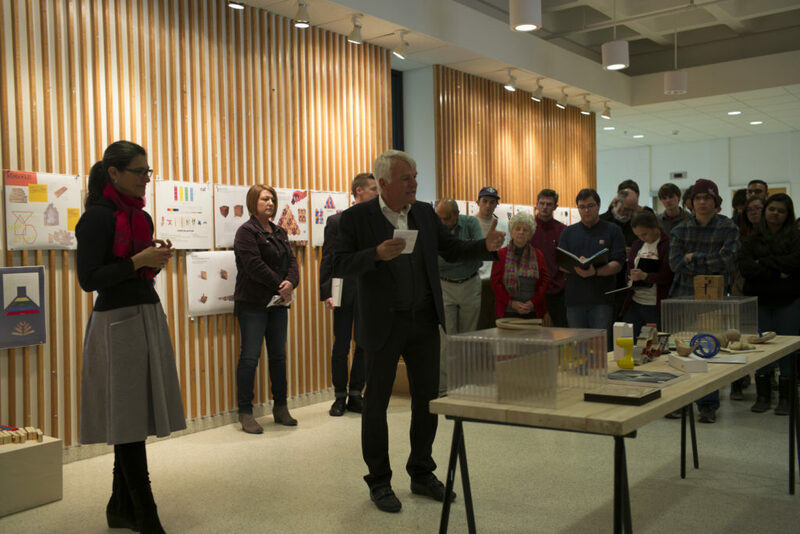 For more than a hundred students of Virginia Tech Blacksburg (USA), it was a much-anticipated moment as Hans-Peter Engeler, CEO of Naef Spiele AG, awarded the grand prize. For three months the students had been working on their competition entries: the design and manufacture of wooden toys. The lucky winner, Yibin Yang from China, convinced the jury with his original work and was awarded a cash prize. 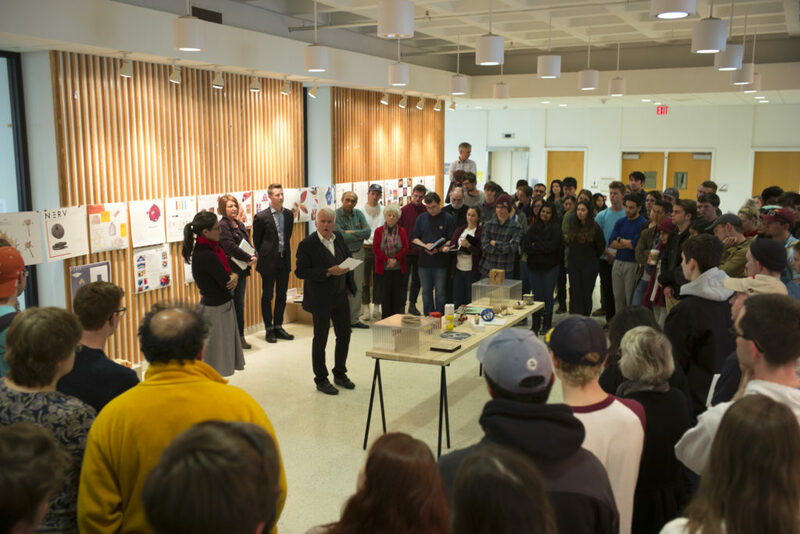 The connection between the College of Architecture of Virginia Tech and Naef goes back to the Swiss architecture professor Olivio Ferrari. 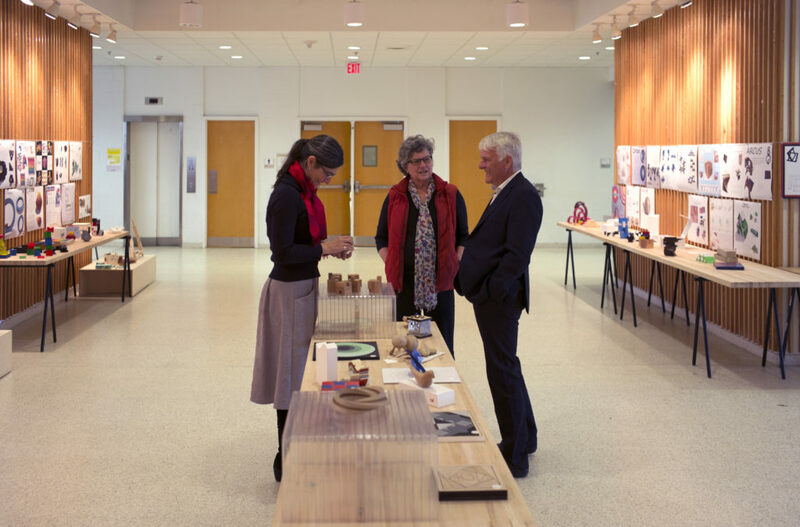 Ferrari originally developed objects for Naef and went on to lecture at Virginia Tech, as did his wife Lucy. This connection has resulted in a continuing collaboration. Since 2008, regular competitions have been held on behalf of Naef. The projects are judged and awarded by a jury consisting of VT professors and representatives from Naef. Both sides enjoy the benefits of this collaboration. The Naef company would like to thank the organizers of the 2017 competition, especially James Bassett.